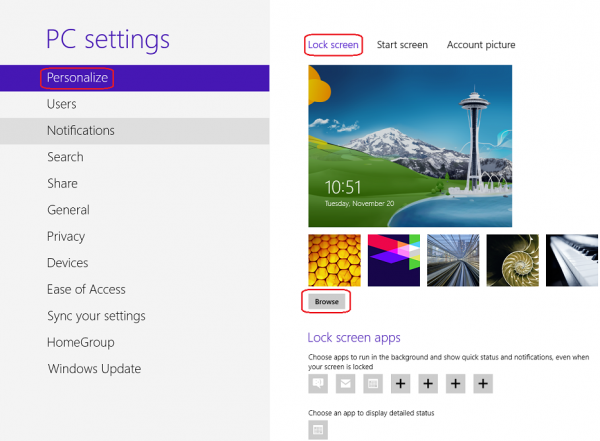 If you have ever wondered whether you can change the lock screen background in Windows 8, the answer is yes you can. Here is how to do just that. 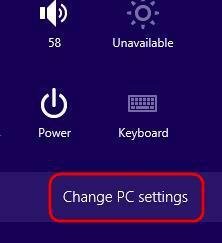 Click on change PC Settings at the bottom of the settings menu. 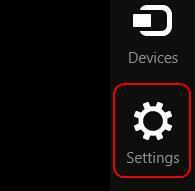 On the left side, select Personalize and then select Lock Screen on your right side. Then click on the browse button below the images to browse to select your favorite image which is to be set as the lock screen background. This will only change the lock screen of your account. If you log out a different lock screen will be shown.